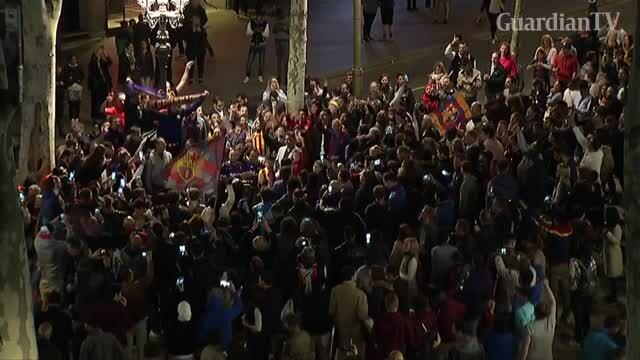 Barcelona fans celebrate La Liga title in Las Ramblas with dancing, singing, and flares. in the past ten years. Also, winning the league and the national cup at the same time is commendable. However, the club needs to strengthen its defense, if its wants to progress more than the quarter final in the champions league.